TSM moves one game closer to a playoff bye with dominant victory against Clutch Gaming. TSM were looking to keep their hopes of a playoff bye alive as they took on Clutch Gaming to open the last week of the Spring Split regular season. However, this game never really looked to be in danger for the boys in black and white, despite the unusual draft that Clutch opted for with a top lane Vayne. 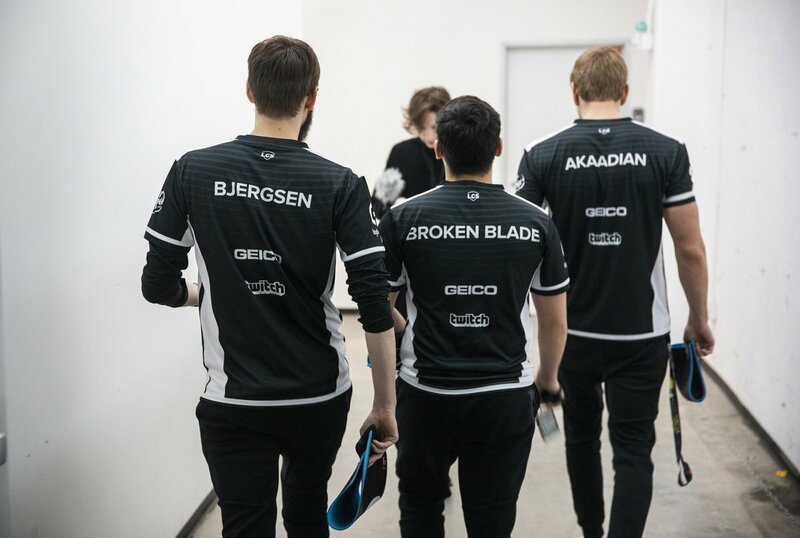 In response to the unorthodox pick for Huni, TSM did Clutch one better by putting BrokenBlade on Akali, perhaps the one champion that could survive such a dangerous lane matchup. Although he lost the laning phase by nearly 30 CS, BrokenBlade was never in grave danger due to his adept use of Twilight Shroud, which kept him in relative safety. For Clutch, they needed to build on the strong matchup they had topside, utilizing Huni as a split pusher to extend their early 2,000 gold lead. However, BrokenBlade soon began to outscale his counterpart and was able to match Huni in the side lanes. Even when Clutch committed two members to killing BrokenBlade, he used a perfect combination of Stopwatch, Shroud and Flash to escape. By stopping the Clutch split push, TSM eventually found the 5v5 team fight that they drafted for at 25 minutes in the top lane. Clutch burned all of their cooldowns early just to keep Huni alive, but probably wished they saved some of those for when Zven showed up late. The TSM ADC caught the retreating Clutch Gaming in his Culling ultimate and shredded through their health bars. TSM went on to win that fight 4-0 and then turned for a game-winning Baron. With the victory, TSM carries a five-game win streak into their final match of the season today against Team Liquid. Seeing as Liquid lost last night in an upset against Echo Fox, the winner of today’s match will have a significant advantage in momentum heading into the playoffs. Previous article2020 Vision: Who (and How) Can the Timberwolves Leapfrog Next Season?